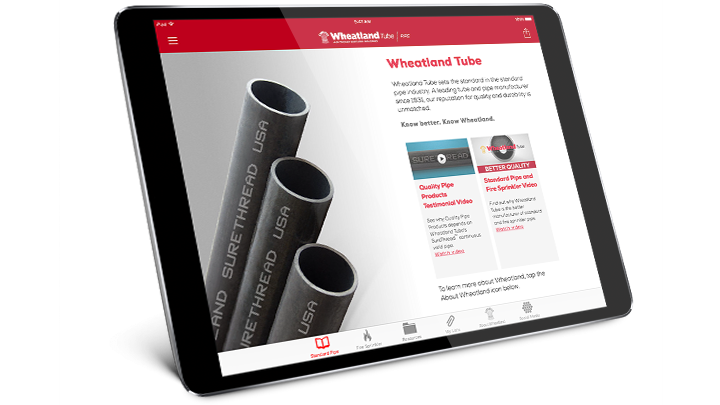 Help your customers save costs by downsizing entire threadable sprinkler systems with improved hydraulic performance, using Mega-Thread from Wheatland Tube. Mega-Thread’s ID is 3.6% larger than Schedule 40, for superior flow in a light-walled steel pipe and added hydraulic cost savings. Approved for standard hanger spacing, it’s easily joined with screwed, grooved, or plain-end fittings. Mega-Thread is protected against corrosion with our proprietary MIC Shield™ antimicrobial coating, is made in the USA and rated for 300 psi. 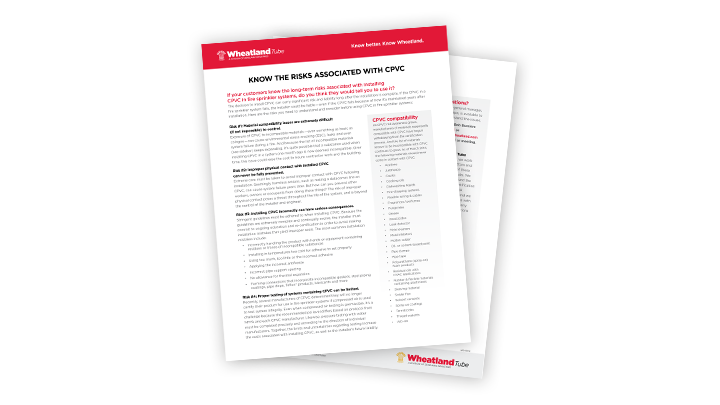 It’s UL® and C-UL Listed, FM approved for wet, dry and pre-action sprinkler systems, and its hot-dipped galvanized pipe meets FM requirements for dry systems. It also meets or exceeds NFPA 13, NFPA 14, and ASTM A795, Type E, Grade A standards. See all of our Mega-Thread resources.